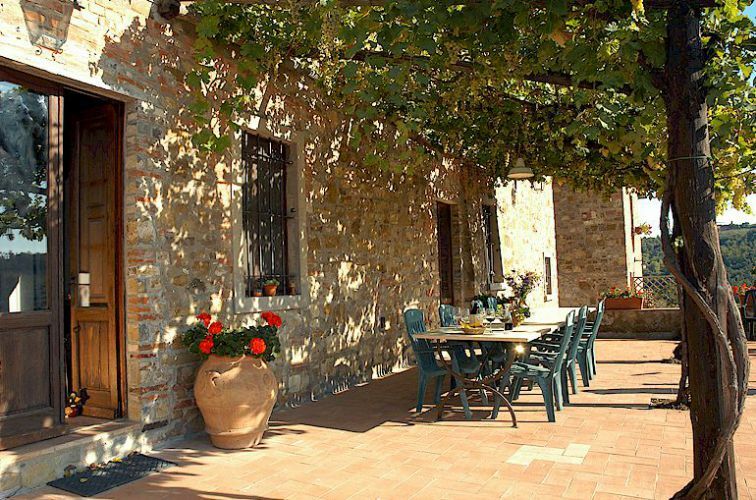 The Chianti region of Tuscany is famous for its rural Bed and Breakfast vacation accommodations. 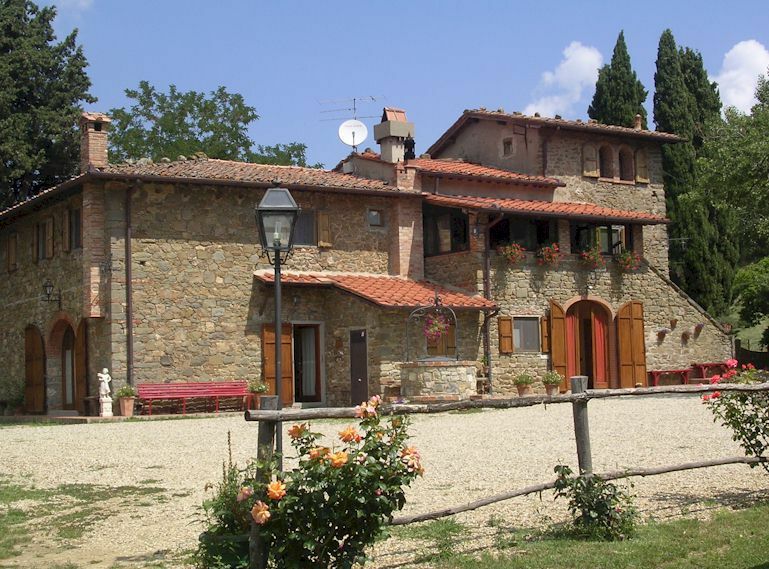 Among the first to be established near Greve in Chianti was “Le Cetinelle” which offers B&B accommodation for 2 or 3 persons in Chianti and also a double ot triple vacation apartment. 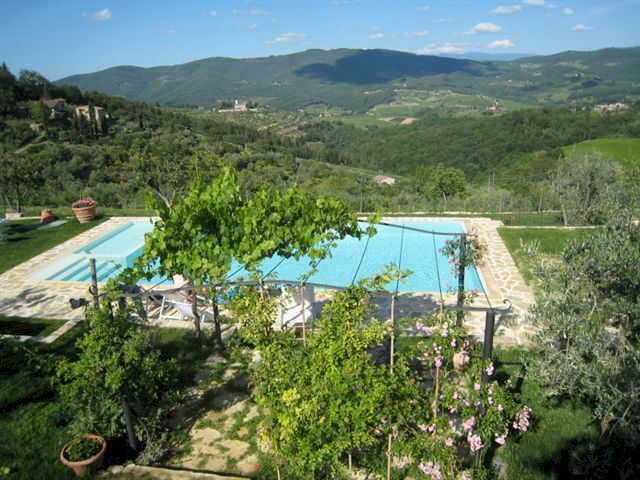 “Le Cetinelle” enjoys the great advantage of being located high in the Chianti hills where the climate is significantly cooler than down in the valleys or in Florence (which is 45 minutes away by car). The gardens around the house are extensive and guests have use of an excellent swimming pool. 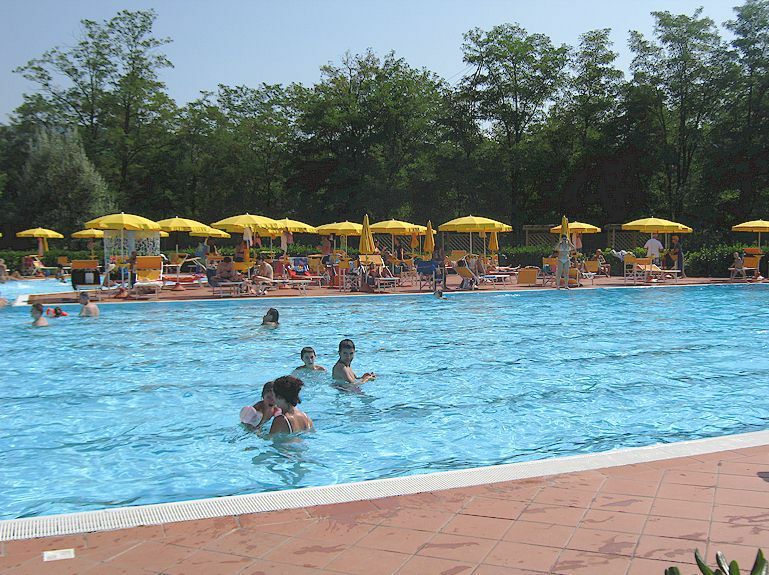 “Le Cetinelle” guests’ swimming pool. 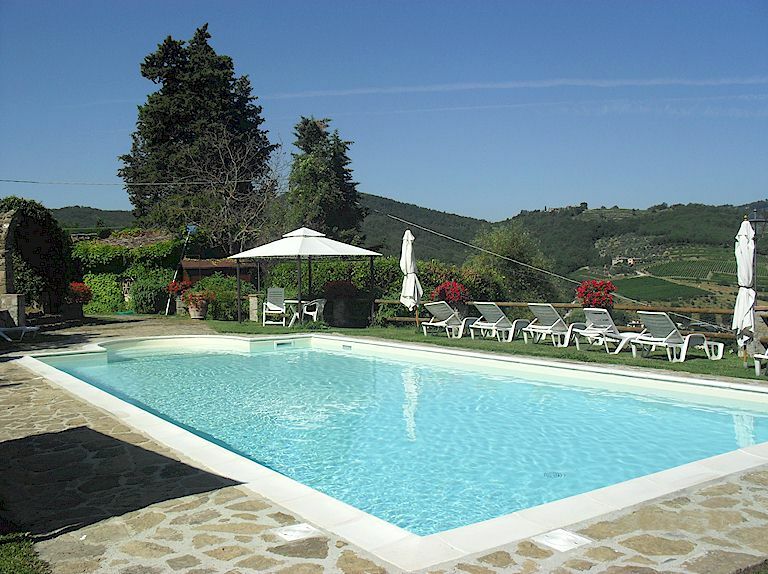 Guests have a choice of six double bedrooms with en suite bathroom, and the possibility of an additional bed. 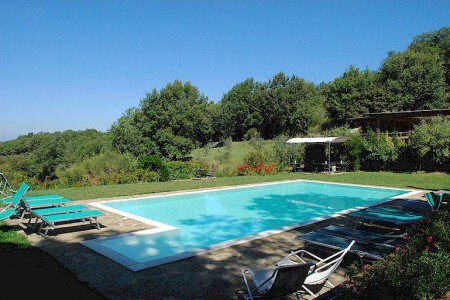 There is also a small self-catering holiday apartment available. 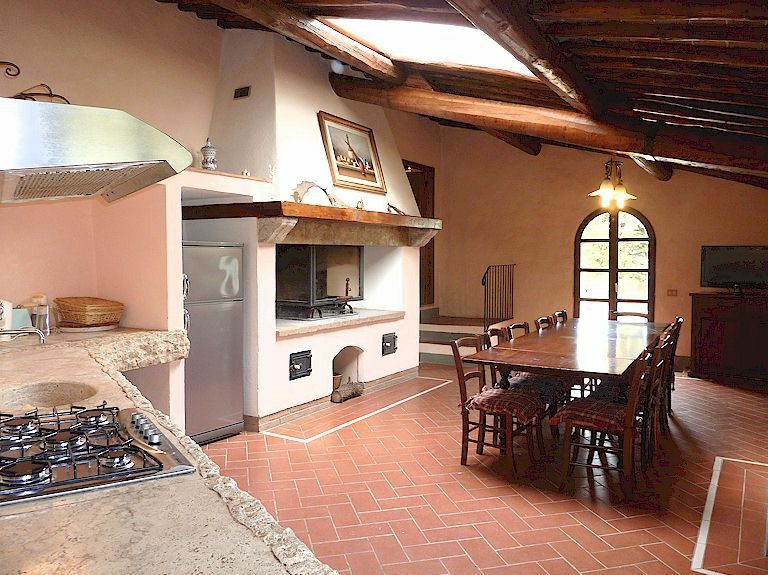 Breakfast is served in the dining room and there are comunal cooking facilities for those who wish to prepare their own meals. 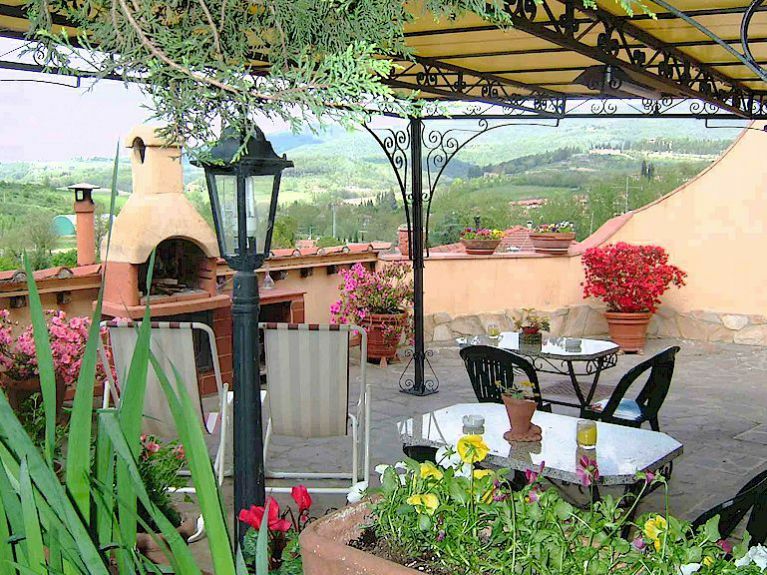 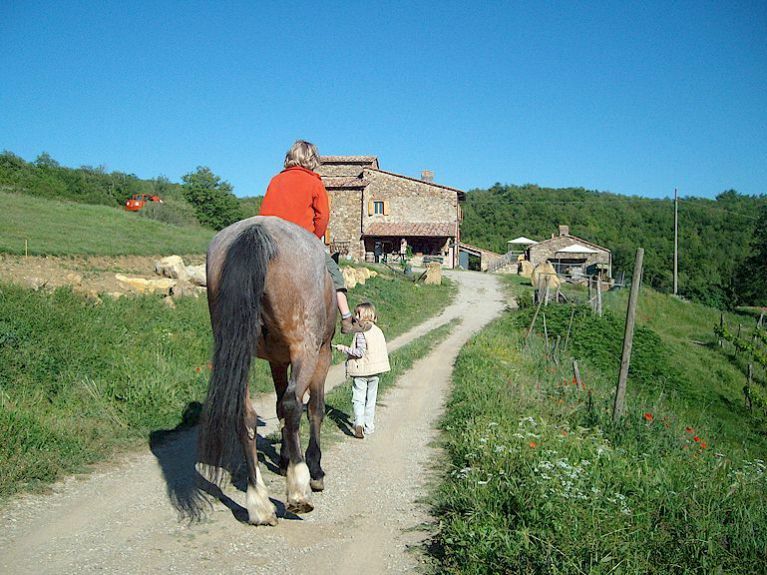 “Le Cetinelle” is a cool, tranquil and relaxing base for your stay in Tuscany. More about “Le Cetinelle” B&B accommodation in Chianti, Tuscany.